[toc]Flu is an infection that commonly strikes people, both children and adults at some point or the other. There are different causes and signs pertaining to flu, however, when it comes to such a condition, do not overlook it. What happens many a times is that people assume that they have only flu, which means they cater to it in a very lenient manner and ultimately overlook it thinking it will disappear on its own. However, the truth is that you must take proper measures to treat flu because it may not affect your lifestyle initially but if the infection does get worse, you might end up feeling weak and ultimately all your daily chores get affected. For most people, dealing with flu means visiting a doctor and getting medicines prescribed for them. Many doctors prescribe antibiotics and as we all know, the heavy dosage medicines don’t agree with everyone. For someone who is looking out for a better and more suitable option, try opting for home remedies for the flu. Though many people hold a wrong impression that home remedies take a while longer in curing the flu, and medicines are better off. 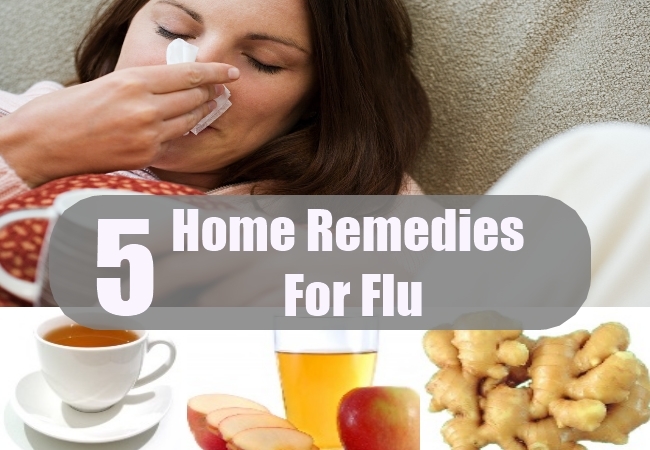 What you must understand is that home remedies for flu or anything for that matter help cure the problem most effectively and mostly from its roots. This is not what medicines manage to do. In fact, many medicines only suppress the pain and infection, so that it can resurface again. So, now, you choose one of the two options that make up for a better healer. 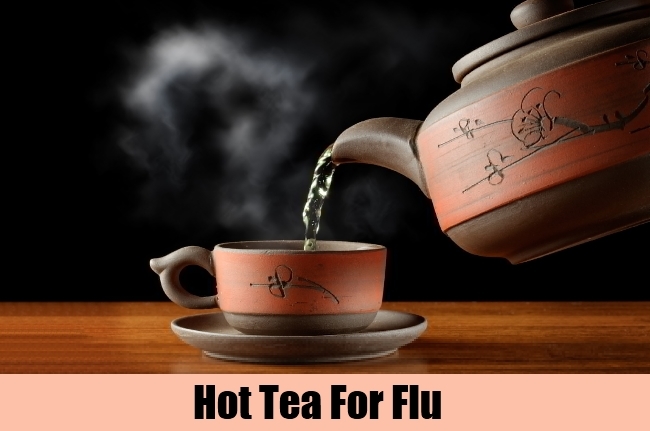 Hot tea is one of the simplest home remedies for the flu. Given that you must make sure your body gets enough liquids while suffering with flu or any other condition that weakens the body. The reason why you feel so is because the body starts accumulating bad bacteria and toxins, and water helps wash it down. However, in the state of the flu, you cannot consume plain or cold liquids due to the no odor factor, but you can consume hot clear tea, i.e. without any milk. By doing so, you will help the body to stimulate your immune system and put an end to the flu virus. You can add different herbs or mint leaves or even basil leaves to your tea for better taste and fragrance. One of my favorite home remedies for different health concerns is apple cider vinegar. 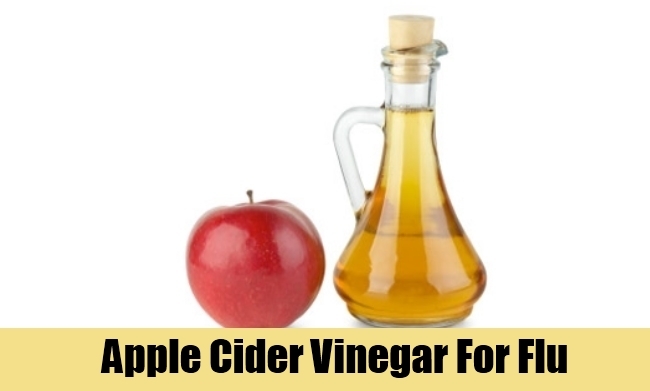 This special kind of vinegar comes with different health based properties that are very useful for the body. This is why you must stock it up in your kitchen cabinets well in advance. The reason why it is effective to beat flu is simply because it has the properties in it that can help beat the infection. In terms of flu, having a balanced pH level is very important. The acidic effect, if imbalanced can make you more prone to flu and other related infections. Apple cider vinegar does the trick in balanced the pH level. Thus, you don’t have to rely on this only when you are suffering with the flu, in fact you can consume it on a daily basis as well. Oregano belongs to the family of basil, peppermint etc. These ingredients offer much more than a good taste to the cooked dish, they also help in healing the body from different health problems. 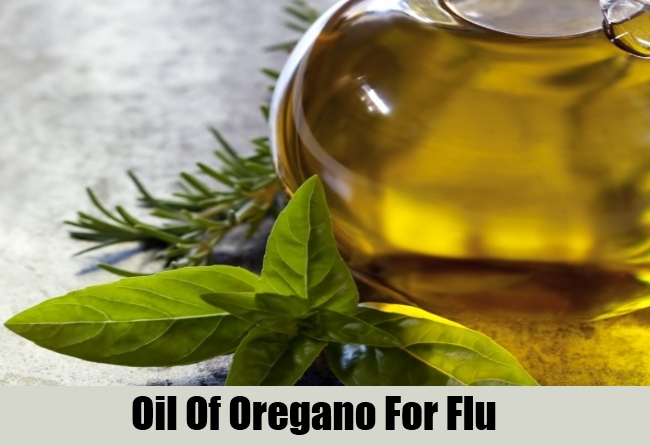 Thus, oil of oregano does the trick too, given that it comes with plenty antiviral and antibiotic properties, surely it has it in it to deal with the virus causing elements in your body. This oil is so very effective that all you need to do is use only a drop in some water and consume it on a regular basis. Though experts vouch for good results to come off it, they also suggest that using oregano or its oil per se, it is not very good for pregnant women. Thus, you must avoid using it if you are pregnant. When it comes to flu, there are different symptoms associated with this type of an infection. What happens is that it starts off with one thing and when nothing is done about it, then in the end it starts to add onto becoming something else. Therefore, it is very important to make sure that the right measures are taken at the initial stage. Honey has different properties in it that can curb the infection and ensure that the added effects of flu also calm down. It has in it many antimicrobial properties that help in fighting infections and the bad bacteria that causes or it adds onto the existing virus. Also, the harmful bacterium that causes this virus, honey to a larger extent helps in banishing it so that there is no scope for any recurrence. You can say goodbye to flu using ginger. It is one of the most used ingredients in the form of home remedies to cater to different health concerns. The reason is very simple, it has in it some very special qualities and properties that are bound to help you in feeling a lot better, i.e. free from the discomfort and pain. Our body needs something to make us feel good, light and energetic, well, garlic has all of it in it. 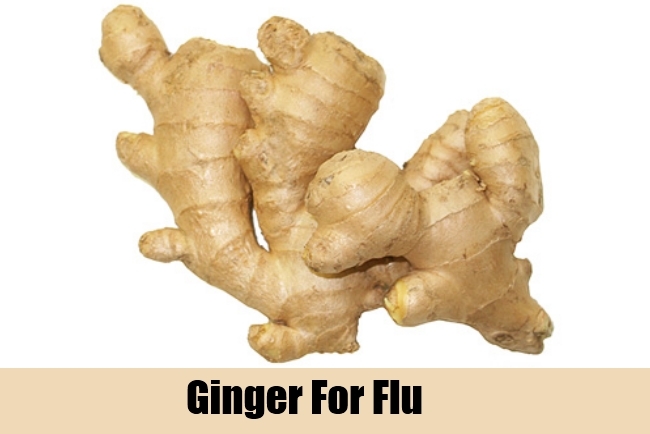 Surely, ginger is to be used to deal with the flu as well. Ginger comes with a compound by the name gingerol, which goes a long way in healing the body and it also possess plenty of medicinal properties. You can consume ginger either directly, i.e. by chopping it into small pieces and chewing it. Or else, you can make ginger tea or ginger juice with some lemon. In order to mellow down on the taste, you can add some honey too. Always remember, flu is infectious. Hence, if you are going to let it be the way it is, you are not just putting your health in danger but making the others around you get affected too.